In 2006, we created our Spicy Hostel that has since hosted thousands of very happy travelers... Do not miss your opportunity to experience the spiciness in Chiang Mai. Beginning in September 2006, we have shown this country what a real backpackers hostel is and how to run a great hostel. Rated No.2 in Asia 2007 and No.1 in Thailand 2008, Spicythai has really brought the backpackers hostel to life in Thailand. A group of young locals with lots of travel experiences and warm hearts have created each Spicy and have brought them to the top of the game in a very short time. Six years of success prove very well that we have been doing the right thing. Now Spicythai is in its new location: an even bigger and more beautiful house in a more convenient location, close to the Old City. What makes Spicy different from the others is that you can really feel at home here. And we can not have a good home without good hosts. You will be amazed with their fluent English, local knowledge, generosity, and traveling perspectives. Jeerapong (Pong) Prathomsup (Spicy Creator, World Traveler, TAT Tourist Guide, PADI Divemaster and Spicy Hostels Senior MD): Pong is always on the road collecting traveling experiences or creating a new Spicy. 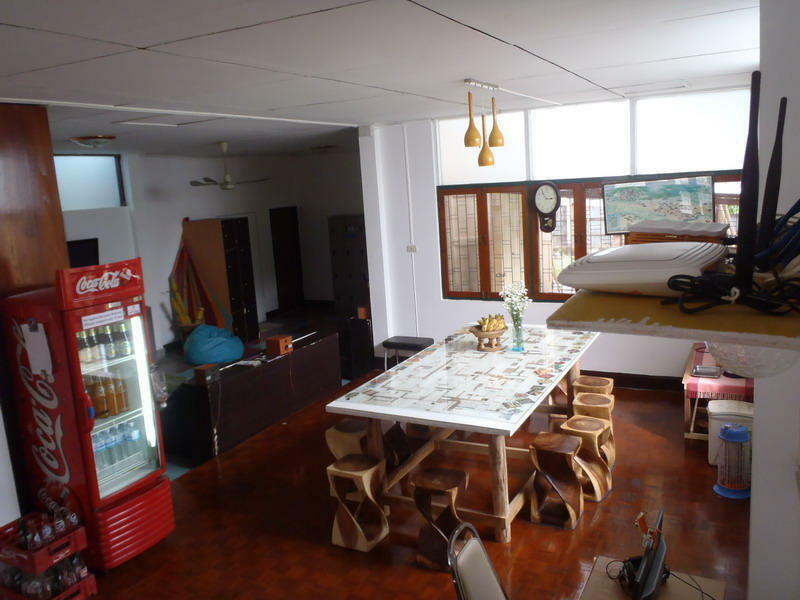 He is now spent most of the time in Koh Tao, running the newest Spicy hostel, Spicytao Backpackers. See him on the island, on the road or in one of the Spicy hostels! Sarayuth (Noom) Buatoom (Spicypai Co-creator, TAT Tourist Guide, Daddy and Spicythai /pai MD): Noom will be in Spicythai most of the time and pops in Pai sometimes. He will be more than happy to help you out with any travel inquiries. Krissana (Aum) Pitakkajorn (Professional TAT Tourist Guide, My Car Mania and Spicythai Partner with Pong and Noom): This experienced and active tour guide is always around and is quite handy when you are looking for something to do in Chiang Mai or nearby. Sopa (Saow) Taseetip (TAT Tourist Guide, Shop Master and Spicythai House Manager): Saow will make sure that Spicythai will never run out of toilet paper. Nattakit (Kit) Malaichaisong (TAT Tourist Guide, Bike Trip Leader, Meditation Instructor, Pub Master and Spicypai GM): Kit will make sure that you will have spicy time in Pai. Pai is a paradise for backpackers and Spicypai is the center of it. Pennueng (Jain) Sompen (TAT Tourist Guide, Cliff Jumper, Guitar Player, Pub Crawl Follower and Spicytao GM): Jain is like his best friend, Kit. This young and enthusiastic host will be around to help you out with your buckets and navigate you home. And there is always at Spicy will be some long term or return guest who loves to meet and help out the new spicy member. 36 Hassadisewi Rd. Spicythai is just 200 m north of Hua Rin Corner ( Northwest corner of the old city) near Wat Santitham. Notice the postbox and the laundry shop near the entrance. After your booking is made, you will receive a confirmation email - please print off the attached map to help your driver find us !